One of the unfortunate side effects of aging is the loss of collagen, elastin and volume in the face. Like Juvederm, Restylane is a gel made of non-animal derived, biodegradable, natural hyaluronic acid—which can hold nearly 3,000 times its weight in water. This crystal-clear gel is injected beneath the skin to correct the appearance of lines, folds and wrinkles. A quick 30-minute procedure is all it takes to have a fuller, more youthful appearance that lasts from six months to a year. Learn more about the Restylane family of products here. Watch Galderma’s patient testimonials to help alleviate some of your concerns. The lips and the delicate skin around the mouth are similar to other parts of the face when it comes to showing signs of sun exposure and aging. In 2014, the FDA approved a new product in the Restylane family that is specifically designed for the sensitive lip and mouth area. Formulated with smaller, smoother particles that can be used with an ultra-fine needle with minimal discomfort, Restylane Silk promises an easy way to get supple full lips with one or two injections. Nearly 98 percent of patients treated with Restylane Silk report a noticeable improvement in lip fullness within 2 weeks of treatment, and more than 75 percent enjoyed the lip augmentation benefits 6 months after the initial injection. Restylane Silk is a transparent hyaluronic acid gel that naturally plumps up tissue and smooths out wrinkles, and is particularly effective in treating perioral rhytides — which is the medical term for “pucker lines” or “smoker’s lines” that frame the mouth. Restylane Silk is currently the only FDA-approved filler on the market that is specifically designed to diminish wrinkles and lines around the mouth in patients 22 and older. For natural-looking and subtle lip enhancement or the treatment of smoker’s lines, this dermal filler is in a class of its own. All dermal fillers have varying levels of density and viscosity. Just as Restyalne Silk is comprised of smaller particles for thinner tissue applications, Restylane Lyft has larger hyaluronic acid gel particles that enable the product to hold its shape and actually lift the treatment area. This denser formulation makes Restylane Lyft ideal for mid-face volume restoration. The filler replenishes lost volume caused by collagen degradation and fat loss with fewer injections compared to other products as it is less inclined to yield to compression. 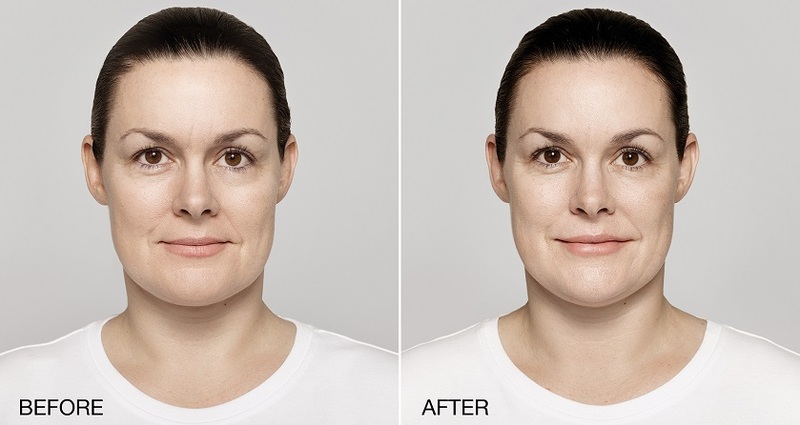 Lyft is designed to correct the appearance of hollow cheeks and severe nasolabial folds (laugh lines), delivering beautiful results that last for many months. On average, most patients require two syringes of the injectable gel to achieve full volume restoration. The results can last anywhere from 10 months to 18 months, and repeat treatments lead to prolonged benefits. Like other HA-based fillers, Lyft’s unique composition attracts and binds water molecules to maintain volume over time. During early blind studies on Restylane Lyft duration, almost 75 percent of patients reported maintaining mid-cheek volume for 12 months and longer. The best part? Restylane Lyft can be used in tandem with other facial rejuvenating treatments including Silk, Restylane and Botox injections. Restylane was the first hyaluronic acid filler to receive FDA approval in 2003. Juvederm followed suit in 2006. Both “new school” fillers were devised as advances on old animal-derived fillers like collagen, which caused allergic reactions in some people. Both fillers can be used anywhere on the face, and on the hands, but Restylane is preferred for the lip area and is ideal for the hollow space beneath the eye, where a slightly chunkier consistency produces just the right effect. 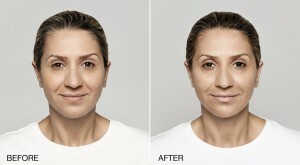 Restylane injections also work well to remove “rhytids,” the fine vertical lines smokers often get above the lips. Compared to Botox, Restylane is used to treat wrinkles and folds caused by loss of volume and gravity by producing a plumping, lifting effect. Botox is a relaxant used to treat wrinkles caused by involuntary muscle contractions – forehead lines, or crow’s feet around the eye and frown lines, for example. In other words, Restylane will improve dark circles beneath the eyes, while Botox can lift the upper brow and open tired eyes more. 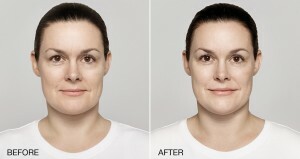 Restylane lasts six months to a year, compared to the three to four month effect of Botox. Radiesse contains calcium hydroxyapatite microspheres suspended in a water gel to stimulate natural collagen to grow and enhance flat cheeks. Radiesse is one of the longest lasting fillers on the market, with an average lifespan of 9 to 18 months, and is generally used to replace volume in larger face areas such as the nose, cheeks and above the eyes. The disadvantage of Radiesse compared to Restylane is that there is a greater risk of bruising and swelling. Restylane is better for people who are first experimenting with filler injections and for people looking to target the mouth area. The whole Restylane procedure can be done in Dr. Loeb’s Manhattan plastic surgery office suite and takes 30 minutes or less. The doctor will choose one or more injection points and apply an antiseptic to thoroughly cleanse the area. Dr. Loeb will then choose the proper amount of Restylane to inject for a natural look. The procedure is performed using local anesthesia, but some people say they notice slight discomfort when the needle enters – much like a bug bite. The hyaluronic acid in the filler adheres to the skin, which acts as a magnet for water to preserve the skin’s volume. 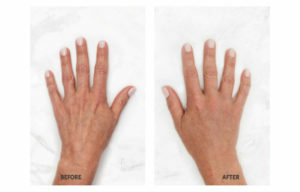 You’ll notice an immediate difference, but the full results are evidence one week later. Swelling, redness and tenderness are the most commonly reported side effects of Restylane injections (reported by about 97% of patients), but this should only last for two or three days. Most people will return right to work after their procedure, as the swelling is not terribly noticeable in most cases. Normal activities can be resumed immediately, although patients are advised to stay out of the sun. You should contact your doctor if symptoms persist longer than 14 days. Studies cited at RXList.com found that the overall incidence of adverse events related to Restylane were less than 2% and include: acne, tooth pain, dermatitis, injection site rashes, headache, nausea, flu-like symptoms, sinusitis, bronchitis, and depression. Botox: Botox and Restylane work in different ways. Botox paralyzes the muscles, while Restylane fills in volume; sometimes Botox is used with Restylane, particularly around the lips, to reduce wrinkle-forming facial movements and fill in any hollow spaces. Laser Resurfacing: Laser resurfacing can eliminate adverse effects from sun damage, pigmentation problems, dull & lifeless skin cells, red vascular marks, acne scars and fine lines. It’s no wonder, then, that this procedure is often done alongside Restylane injections to produce skin that is not only fresh and healthy-looking, but also brighter and more flawless than ever before. Restylane may also be used to complement other procedures, such as a facelift, eye lift, neck lift, or rhinoplasty (nose job). If you’re considering Restylane injections in NYC, call the Fifth Avenue office of Manhattan plastic surgeon Dr. Thomas W. Loeb at 212-327-3700 to schedule a private consultation. 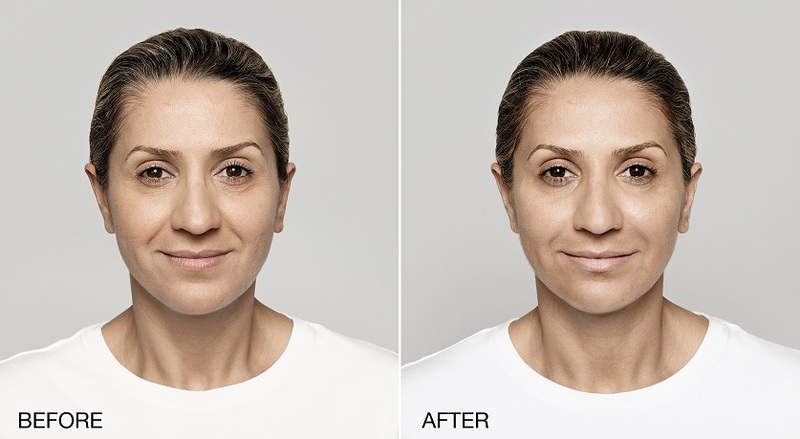 Dr. Loeb will review Restylane before and after photos of real patients, and help you select the fillers or skin resurfacing procedures can best deliver the natural, youthful appearance you desire.